Today’s post has been one in the making for a looooong time, LOL. 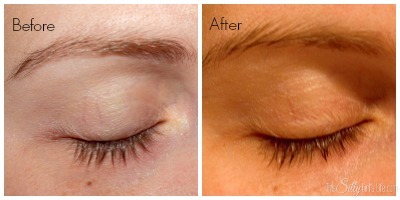 I was given the chance to review Fysiko Eyelash Serum and the process to achieve the maximum benefits is 16 weeks. So, for the past 16 weeks I have been applying this serum once a day and now I’m going to tell you allll about it! So you order it online and it gets sent to you and looks exactly like this ^. 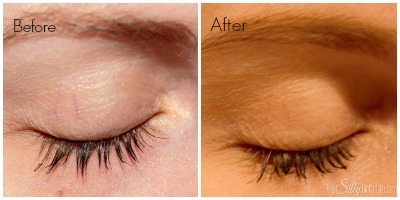 You apply it once a day for 16 weeks and you will see your lashes grow. 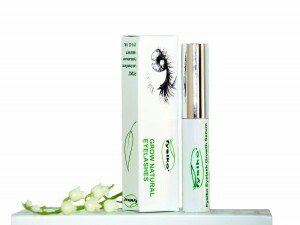 They are suppose to lengthen and thicken your eyelashes and eyebrows. To apply for your eyelashes, you just sweep the wand across your eyelid like you would applying eyeliner. Do NOT put this one your lower lash line… I found this out the hard way although it does state on the box not to apply it there. If you do this your upper and bottom lids will slightly stick together, not shut but… sticky. Here are pictures of my results. So, yeah…. I know what you’re thinking. Not much difference. I agree. I was not really thrilled with this product. It is extremely tedious with the 16 weeks. AND, I know I may be alone on this but my eyes are extremely sensitive. I have allergies very bad all year long. After the first three months I noticed my eyes were more irritated than normal. 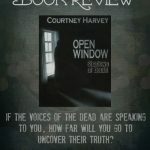 It felt like I constantly had something poking me in the eye or had a hair tickling the inner corner of my eyes by my nose. And it finally dawned on me that my eyelashes in the inner corner has grown so long that I was tickling myself with them, driving myself insane. And they continue to do it now. Oh, and those eyebrows….?? No difference whats so ever. SO, obviously this worked somewhat to have that happen. I just don’t think the result for me in particular was as drastic as the other people reviewing them. It might just be my body and that’s it. My eyelashes are at their peak performance! LOL. So, I say try this product at your own risk, based on my experience. It is rather expensive, tedious and if you have sensitive eyes I would avoid it. BUT, if you go on their facebook page or their website there are tons of happy customers. So it’s up to you!